Yesterday’s visions are the ideas of tomorrow. The gallery of unusual flying objects is amazing. And of course: you might spend hours in search of uncommon photography on LIFE.com. Really wow! 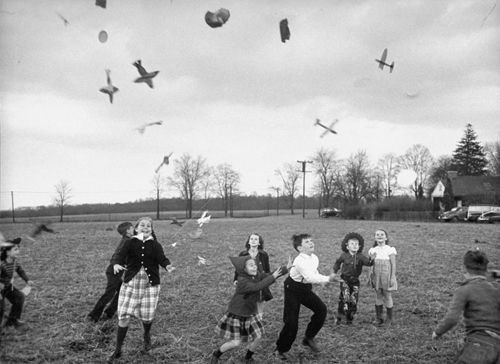 1949: Children try to catch toys that were released by a kite. 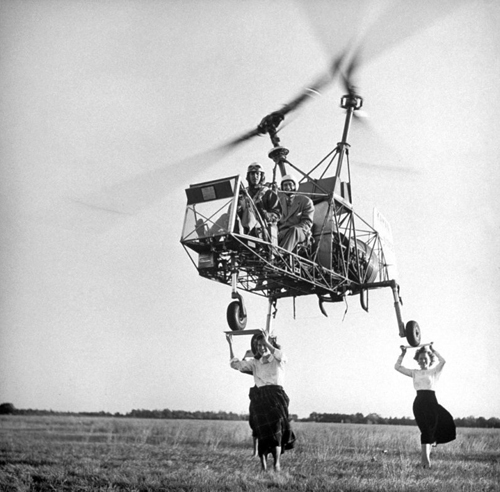 1948: A „K190“ helicopter attempting a three-point landing atop the heads of three women holding plywood squares as landing „pads“. 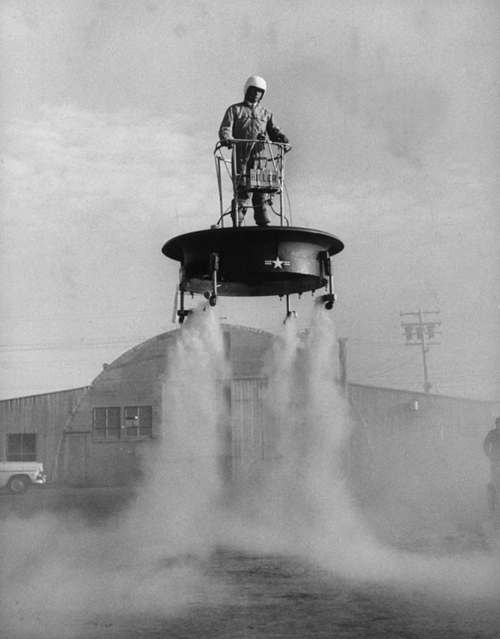 1956: Flying platform being tested at an Air Force base. 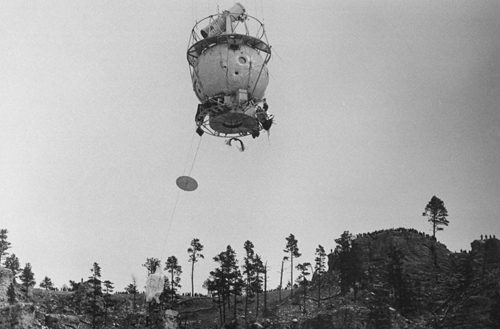 1959: Ascending gondola trailing disk-shaped radio antenna during lift-off for high-altitude flight to observe the planet Venus. 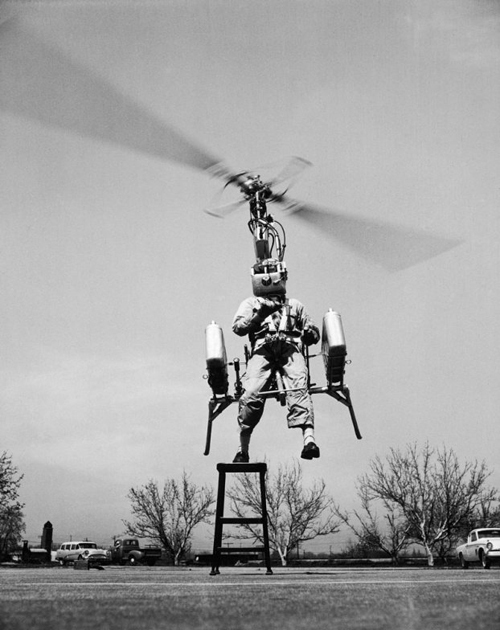 1957: Test flight of the „strap-on“ helicopter.